When the conformal coating has been applied and is fully dried / cured then it will have reached its full potential physical properties. Abrasion resistance is the ability of a conformal coating to resist surface wear caused by rubbing contact with another material. For a conformal coating on a circuit board, the potential for abrasion can occur in production, storage, in shipping, in the field of use and in service. If there is a significant possibility of abrasion occurring to a conformal coating then conformal coatings with a high mar resistance could be considered. Conformal coatings are chemical solutions. When applied to a circuit board there may be an adverse chemical reaction. When the conformal coating is selected for a PCB, then the chemical compatibility of the coating with the various components on the board should be considered. A Conformal coating may be selected to provide chemical protection for the circuit in the field. If a PCB could be exposed to chemicals in the field then the chemical resistance of the conformal coating should be considered. This is examined in more detail in the Classification of Coating section. The coefficient of thermal expansion (CTE) describes how the size of an object changes with a change in temperature. Specifically, it measures the fractional change in size per degree change in temperature at a constant pressure. For a circuit board, the CTE is a very important factor. Large mismatches of CTE can lead to large stresses generated due to some materials expanding more than others at a faster rate. For the conformal coating this is no different. Ideally the CTE should be as close as possible to the laminates, components, solder alloy and conformal coating. Otherwise, the conformal coating can fail by cracking and de-laminating. For a circuit board, the coefficient of thermal expansion (CTE) is a very important factor. Large mismatches of CTE can lead to large stresses generated due to some materials expanding more than others at a faster rate. 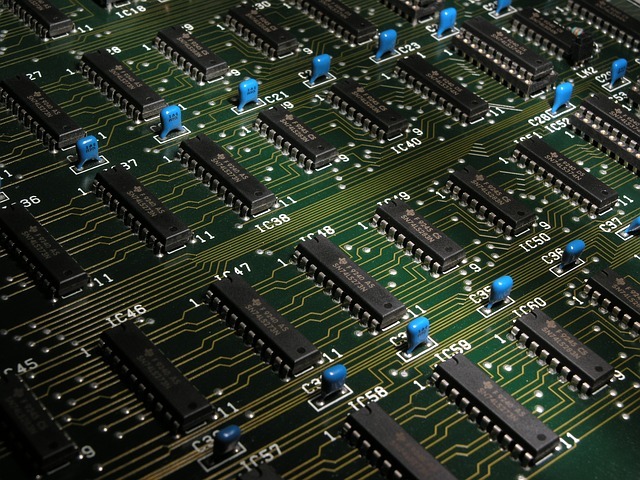 One of the main reasons for using a conformal coating is providing improved corrosion resistance to a circuit board. To create corrosion you need moisture and contamination (ionic) that can interact. The conformal coating may stop or minimise corrosion by reducing the flow of moisture through the coating itself to the circuit surface. The flow of moisture through the coating material is related to the permeability of the conformal coating. A low permeable coating is preferred to a coating with a higher permeability. The flow of moisture is also related to several other factors. This includes good adhesion of the coating to the laminate (prevents condensing of liquid at the interface), minimal bubbles and pinholes (which allow an easier path through) and correct coating thickness (ensuring the coating is thick enough to prevent flow). The conformal coating may also provide protection from contamination (particulates) in the field. The coating literally keeps the dirt off the surface of the board. One of the main reasons for using a conformal coating is providing improved corrosion resistance for a circuit board from the environment in which it is placed. When a conformal coating is wet, the effects of gravity mean that the coating will slump. That is the coating will pull back from the sharp edges like corners of component leads. This retraction effect of the coating may lead to the coating being too thin or a void forming in the coating. This is thin edge coverage. Care should be taken when considering the sharp edges of components and a combination of board orientation, coating viscosity and application technique can influence the final finish of the coating. 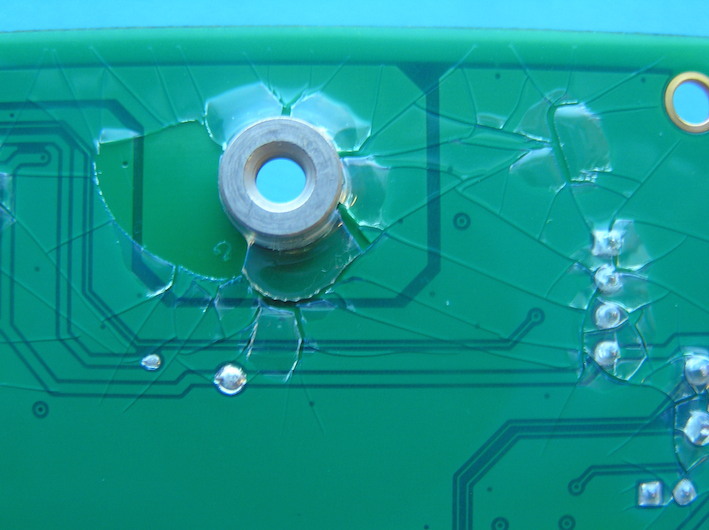 Sharp edges on components and through hole wires are extremely difficult to protect with conformal coating leading to thin edge coverage issues. 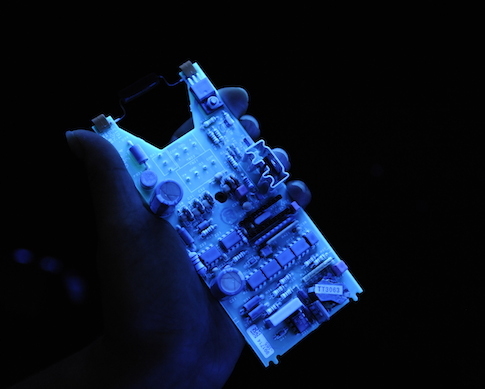 The conformal coating thickness is one of the most fundamental properties. It has a first order affect on the protection of the circuit board. If the conformal coating is too thin then it will have no protective effect. If the conformal coating is too thick it may have problems with thermal shock and CTE mismatch. Generic Conformal coating thickness guidelines can be found in many standards and should also be consulted through the conformal coating manufacturer. Conformal coating thickness can be critical. If the conformal coating is too thin then it will have no protective effect. If the conformal coating is too thick it may have problems with thermal shock and CTE mismatch. Conformal coatings may be required to be resistant to burning. This is normally dependent on the environment that the circuit is placed. International standards may require conformal coating materials to be tested. Many conformal coatings have official test certificates to these standards. For example, Test Methods UL 94 and UL 746 (UL – Underwriter Laboratories) both certify coatings in flammability testing. More information can be found in Standards section of the ebook on flammability testing. A conformal coating may need to be flexible, especially if is exposed to low temperature environments. When temperature is lowered, a coating becomes more brittle as the elasticity of the material is temperature dependent. Therefore, the flexibility of a conformal coating should be considered when there are large temperature variations in the product field of operation. Flexibility can be tested using the IPC-TM-650, Test Method 2.4.5.1. Circuit boards that are conformal coated are normally exposed to high moisture environments. 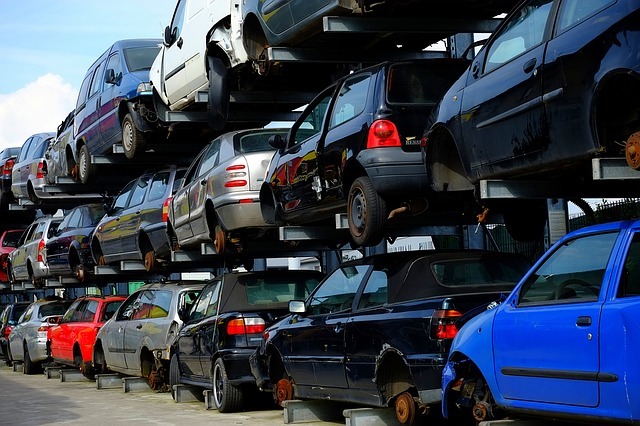 The coating could be attacked by fungus growth and this could be detrimental the coating protection. Typical standards and specifications from institutes like the IPC require the conformal coating to be fungal resistance. If the resin type is susceptible to fungus attack then additives are included in the Binder to ensure adequate protection. Fungus resistance may be tested using IPC-TM-650, Test Method 2.6.1.1. The Glass Transition Temperature (Tg) is the temperature region where the conformal coating polymer changes from a hard, glassy material to a soft, rubbery material. Conformal coatings can show very different physical properties above and below the Glass Transition Temperature. Hydrolytic Stability is the ability of the conformal coating to resist chemical decomposition (hydrolysis) in the presence of moisture and water. Since conformal coatings can readily be exposed to moisture and condensation then this is an extremely important feature of a coating. IPC-TM-650, Test Method 2.6.11.1, verifies the hydrolytic stability of a conformal coating. Outgassing is the release of a gas that was dissolved, trapped, frozen or absorbed in the conformal coating. Some conformal coatings contain these gasses, which can be released over time, and which can be detrimental to the circuit. 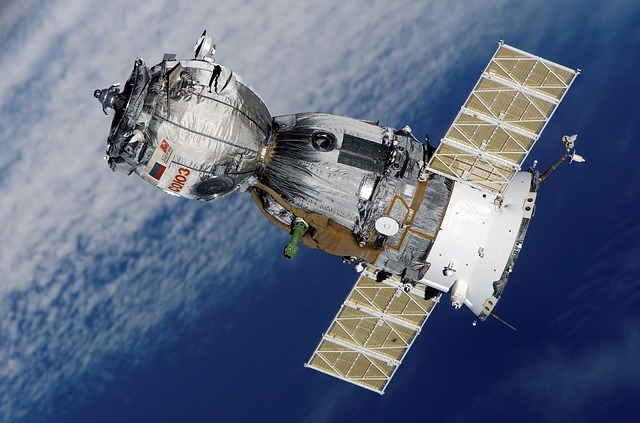 Where outgassing is critical is in space applications. The vacuum encountered in space can accelerate the outgassing process in the conformal coating. The residual gasses can then potentially harm the electronics around the area. Some conformal coatings have specifically been tested and approved for Space applications and have no outgassing properties. Where outgassing of conformal coating is critical is in space applications. The vacuum encountered in space can accelerate the outgassing process in the conformal coating. The residual gasses can potentially harm the electronics and other components like lens and sensors. Permeability is the property of a material that allows liquids and gasses to pass through it. A more permeable material allows more liquid and gas to pass through it. Conformal coatings are required to provide moisture protection. A more permeable conformal coating allows more moisture to pass through it and therefore offers less protection to the circuit board. 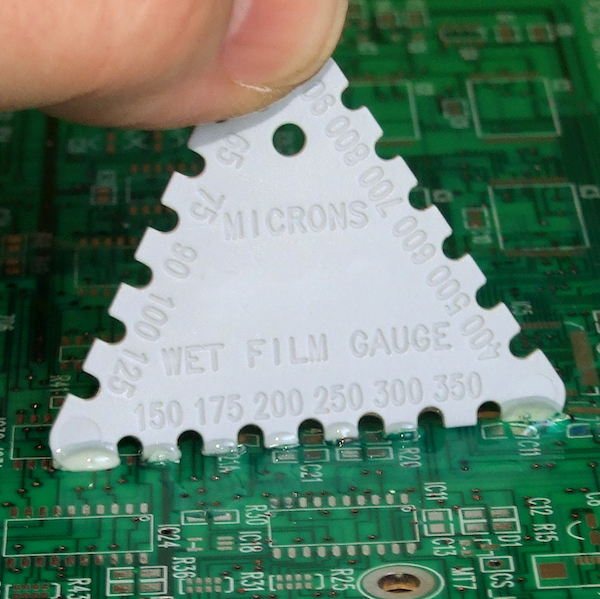 Moisture that permeates through the conformal coating may develop on the interface of the coating and components, tracks and laminate, leading to leakage currents, dendritic growth, corrosion and delamination of coatings over the surface. Permeability is one of the most important factors to be considered for the selection of conformal coating, especially if it is for applications in humid or corrosive environments. Note, all organic materials are permeable to some degree, depending on the chemical composition involved. Therefore, all organic coatings absorb moisture. The MIR is the measurement taken at high humidity conditions whereas the Insulation Resistance is taken at ambient conditions. Many electronic components require that the conformal coating does not act as a lens and change the optical properties of the device. Components like LEDs are highly susceptible to this effect. Care must be taken that the Refractive Index (RI) does not influence the device significantly. Temperature gradients across a conformal coating surface can lead to cracking of the coating. This is due to stresses induced and CTE mismatches of the various components of the circuit. 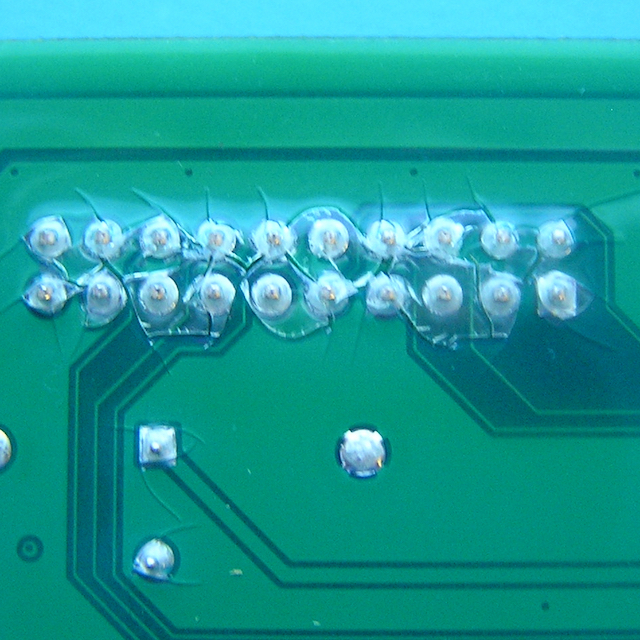 Circuit boards where changes in temperature can occur rapidly should look carefully at selection. 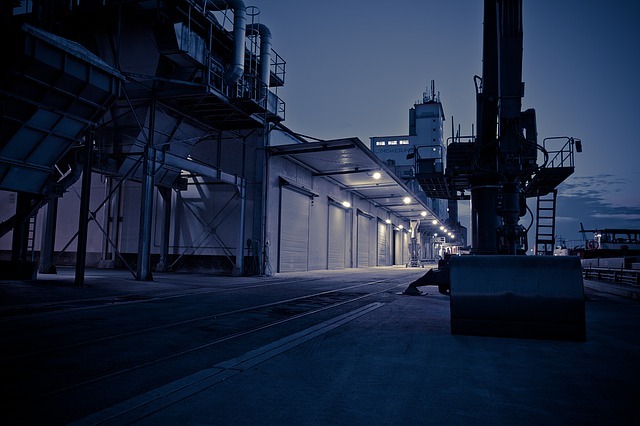 Examples of problem areas include LED circuits where localised heat spots can cause significant problems. Thermal shock occurs when a thermal gradient causes different parts of an object to expand by different amounts. In conformal coating, this can occur due to CTE mismatches of components, coating, laminate and solder. The resulting stresses on the coating can cause coating defects such as cracking and delamination. IPC-TM-650, Test Method 2.6.7.1, is an example of a thermal shock test, which verifies the compatibility of a coating with a specific temperature profile. Thermal Stability is the ability of the conformal coating not to degrade at high and low temperatures. High temperatures can cause short and long term physical effects in the conformal coating. In the short term the coating can soften and become tacky. The softening and tackiness could lead to debris in the field adhering and penetrating the coating over time. In the long term effects can include change of coating colour, thermal stressing leading to cracking and changes in electrical properties such as dielectric strength and insulation resistance. Low temperatures can cause conformal coating defects such as cracking and delamination due CTE mismatch, vibration, or flexing. High temperature can cause short-term changes in coating characteristic such as softening and potentially lower electrical resistance. Long-term effects of high temperature operation can cause coatings to discolor, embrittle, crack, and shrink, effecting. Low temperatures can cause cracking and delamination due to differences in CTE, vibration, or flexing. Coatings have different usable temperature ranges that are well documented. Conformal coatings are being used more extensively on circuit boards exposed to direct sunlight (ultraviolet radiation). 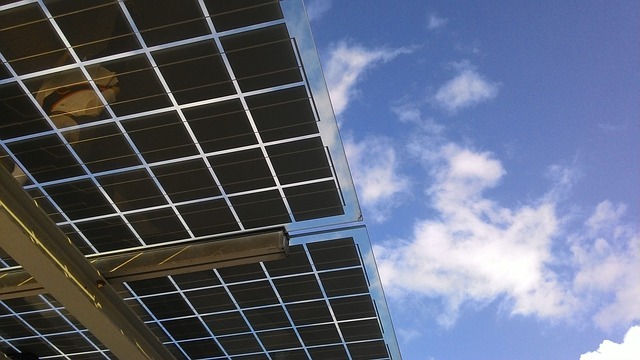 For example, this can be the case in solar panels and LED applications. If the circuit boards could be exposed to ultraviolet radiation, such as outdoor use or space applications, then the degradation should not be enough to alter the film properties. Properties that can be affected include discolouration of the coating, embrittlement, cracking and crazing. 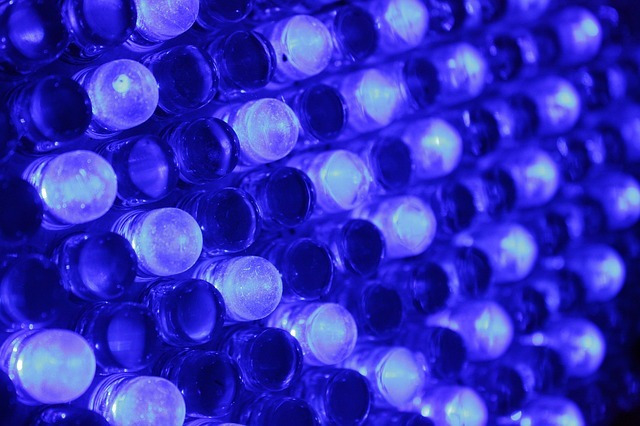 Some conformal coatings have additives included in the Binder that absorb UV light before it can degrade the polymer structure. These additives are most often called UV inhibitors. Conformal coatings are used on circuit boards exposed to direct sunlight (ultraviolet radiation). The exposure should not be enough to alter the film properties.